As part of the SCCI FASHION HUB programme, Clare will be talking Fashioning Protest as part of an afternoon all about fashion and words. Investigating the power of words to incite imagination and provoke response, Vogue Australia’s Sustainability Editor-At-Large, Clare Press, speaks on her most recent publication Rise and Resist: How to Change the World (2018). To further understand the important role of ‘change makers’ in fashion – those resisting and disrupting from within – Press is joined by Ollie Henderson, model, social activist and founder, House of Riot, for an in-depth examination of protest in design and consumption. FIND OUT ALL ABOUT SCCI FASHION HUB AND THE FANTASTIC PROGRAMME OF TALKS AND EVENTS HERE. The global fashion industry is critical to economies and populations the world over. Valued at close to three trillion dollars, it supports multiple sectors and inspires generation after generation to enter its doors. Yet as we face the challenges of addressing its environmental impact and support of worker empowerment, the industry is under pressure and facing a clear call to action: adapt to the new normal of circularity, system redesign and accountability or risk its very future. In this era of transparency, the call is getting louder. Remaining relevant in a post growth world means radically reinventing value, purpose and profits. 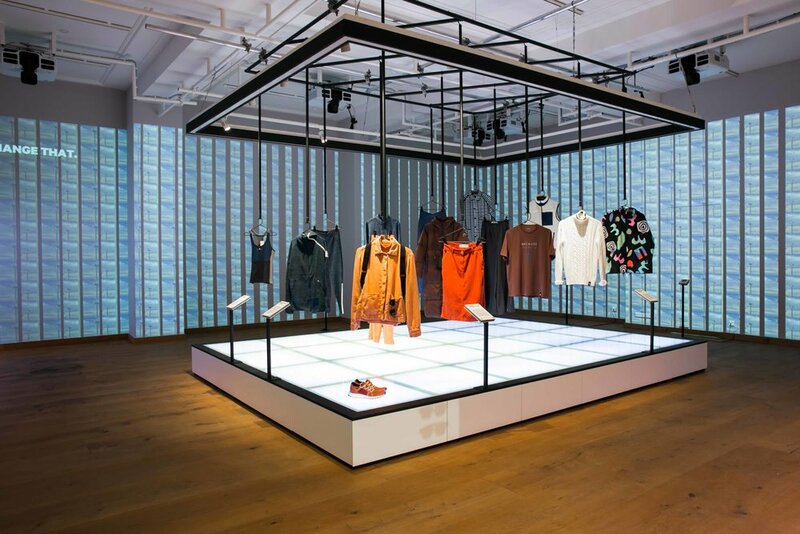 In so doing, we can recognise the vast ecosystem within which the fashion industry lies, unlocking numerous opportunities for creating a new legacy. One that is regenerative, restorative and empathic in nature. So what exactly are the opportunities for innovation and reinvention in this rapidly shifting landscape? Where do the solutions lie and how can we collaborate effectively to realise these changes? What does best practice look like and how can we encourage a race to the top? Some of the most hopeful technologies, business models and initiatives are being developed and adopted by leading players in the sector. From waste-free design and fibre tracing to worker empowerment collaborations and mapping projects, these tools and programmes are here now. LEGACY will explore these and more, including the circular economy, sustainable fibres, worker empowerment, legislation and new business models. Through a series of keynote presentations, expert panel conversations and interactive breakout sessions, attendees will learn the drivers revolutionizing the future of the industry and how they too can commit to the biggest opportunity of our time. Join some of the world’s great minds at WOMADelaide's Planet Talks in a series of fascinating live conversations about our environment and sustainable relationship with the planet! Clare will be back for the second time this year, hosting this Planet Talk session at WOMAD: The Fight for the Bight Against Big Oil. Join this important discussion with Peter Owen (The Wilderness Society), Bunna Lawrie (Mining Elder and Coloured Stone frontman) and Jodie Rummer (marine scientist, James Cook University) represent a large and growing movement of concerned people, councils, businesses, industries, environmental and scientific organisations opposing the proposed drilling by Norwegian oil company Equinor in The Great Australian Bight. WOMAD is surely the best music festival on Earth! Don’t miss out. Book your tickets here. Speakers include Annabel Crabb, our friend the CEO of Greenpeace David Ritter, and tree whisperer Monica Gagliano. See the full Planet Talks lineup here. Bandana Tewari – Fashion Journalist & Sustainability Activist, Contributor BOF (Business of Fashion). Clare Press – Sustainability Editor Vogue Australia, author of Wardrobe Crisis, Rise & Resist and presenter of the Wardrobe Crisis Podcast. Naushad Ali - An awarded emerging designer from India who has based his whole business on his philosophy of sustainability, repurposing and upcycling. The blue planet, our Earth. Around two thirds of its surface are covered in water. The adult human body is also made up of 70 percent water. Without water there would be no agriculture, no industry – and no life. But what happens when water becomes scarce? 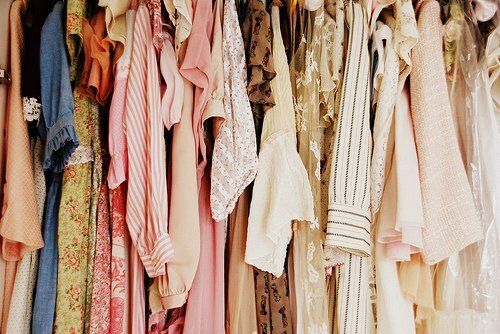 The upcoming Fashion Sustain is dedicated to this topic, which will have a decisive impact on our future. CLARE WILL BE GIVING THE OPENING ADDRESS AT THIS CONFERENCE IN BERLIN ON Wednesday January 16. 10.45 AM Opening Keynote: We Are Water. Inspiration & Respiration. 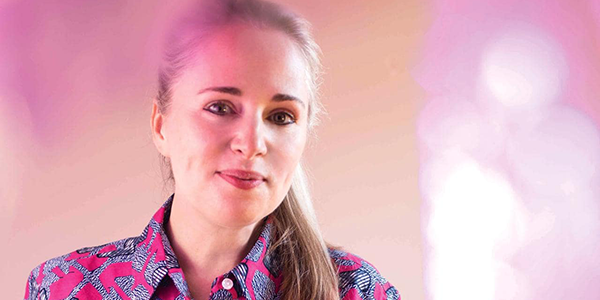 Join us on November 28th at the Fashion for Good Experience to hear from Vogue Australia’s sustainability editor-at-large Clare Press about her new book ‘Rise & Resist’, with an exclusive Q&A. Clare Press will talk about how she crossed the globe talking to humanitarians, zero-waste mavericks, feminists, social and environmental leaders and more in this newly released book. 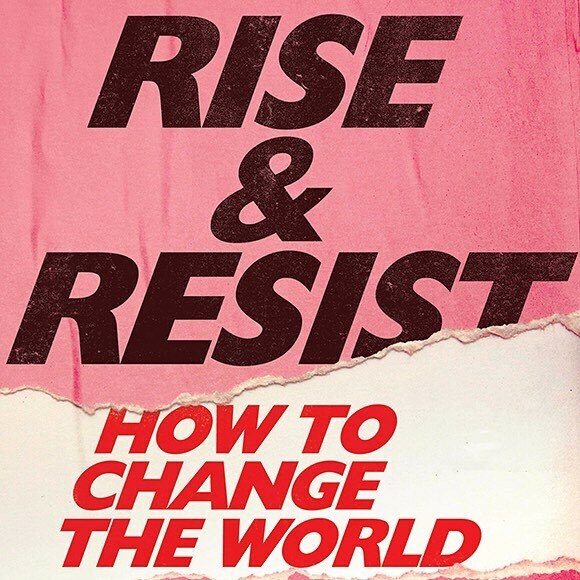 Rise & Resist is an exciting journey about creative approaches to change-making in the ever-increasing world of activism, challenging the reader to question how they can make an impact and get involved. There is no planet B, yet we are consuming and disposing at a rate far from sustainable. The time to change is now! Learn from industry leaders and experts about the issues that matter most and how we can make a difference. Speakers include Clare Press, Sass Brown, Jeff Hansen, MD Sea Shepherd Australia, Jane Milburn ('Slow Clothing’) and Nicki Colls (Fibreshed Melbourne), and Dr Anne Farren, Senior Lecturer, Fashion at Curtin University. Tickets are $55. Book here. The Media Masterclass invites journalists to attend an enlightening seminar where we demystify, break down and explain the concept of fashion sustainability. If you’ll be at ReMode, this is the place to get properly prepared for the agenda. Hear from Sabrina Oei of NIKE, Inc., Kathleen Talbot of Reformation, Anna Gedda of H&M, Clare Press of Vogue Australia, Rosey Cortazzi of ISKO, Creative Business Consultant Julie Gilhart, Pierre-Nicolas Hurstel of ReMode and Eva Kruse and Morten Lehmann of Global Fashion Agenda. RSVP: No later than 8 November 2018 by requesting invitation below, please note this event is for press only! Heralded as a pioneer in Australian Fashion, Linda Jackson is known for her colourful, striking textiles inspired by Australia’s natural landscape. 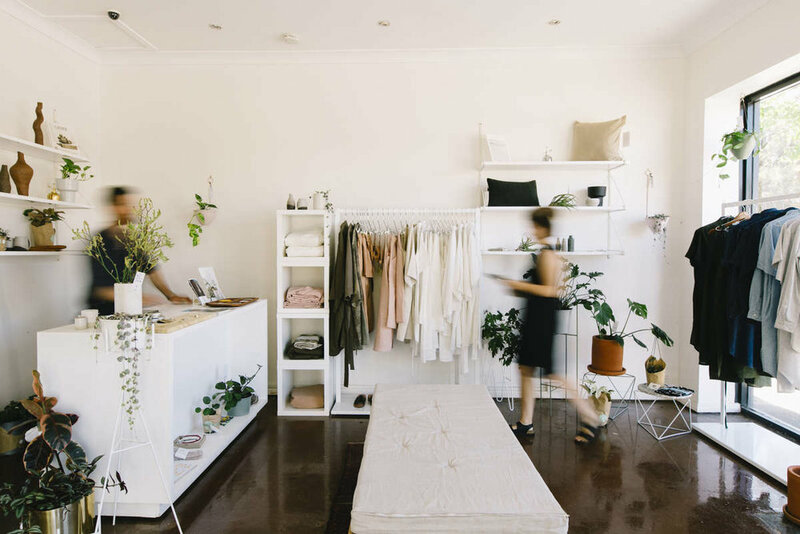 At a time when Australian fashion was solely influenced by European trends, Linda and her design partner Jenny Key reinvented the wheel, drawing inspiration from wildlife, landscapes and nations much closer to home. Hear Linda discuss the importance of colour in fashion and design in conversation with Australian VOGUE’s Sustainability Editor-at-Large, and author of Rise & Resist: How to Change the World (MUP), Clare Press. For more information, visit the Art Gallery of New South Wales events page here. On September 2015 at an historic UN Summit, the 17 Sustainable Development Goals (SDGs) of the 2030 Agenda for Sustainable Development were agreed by 193 members of the UN General Assembly officially came into force. The new Goals are unique in that they call for action by all countries, poor, rich and middle-income to promote prosperity while protecting the planet. Despite our wealth of natural and economic resources, Australia’s overall response to climate change is appalling. The Climate Change Performance Index has ranked us 57 out of 60 countries, and rated China’s climate efforts as higher than Australia’s. Thankfully, large-scale corporate initiatives, standout sustainability ambassadors, and a groundswell of grass roots activists are embracing transformation andtaking up the cause. Clare Press – Vogue’s sustainability editor, sustainable fashion crusader, podcaster (Wardrobe Crisis), and author of a new book about activism, Rise & Resist, How to Change the World (MUP). Signed copies of Clare’s new book, Rise & Resist (Melbourne University Press), will be available for purchase on the night by cash or credit card. Tickets cost $25 and includes welcome drink and light canapés. Spaces limited. Book here. In this fireside conversation we'll chat to Clare Press about her career, her passions and her books. We'll particularly focus on Clare's brand new book, Rise & Resist. Tickets cost $27.46. Spaces limited. Book here. I’m speaking on RISE & RESIST as part of the incredible INTEGRITY 20 line-up, which includes Leigh Sales, Anna Summers, Hugh Mackay, Virginia Haussegger, Madonna King and A.C. Grayling. Integrity 20’18 gathers philosophers, activists, innovators, educators, journalists, rule breakers, artists and visionaries for a two-day exploration of some of our greatest social, moral and political challenges. 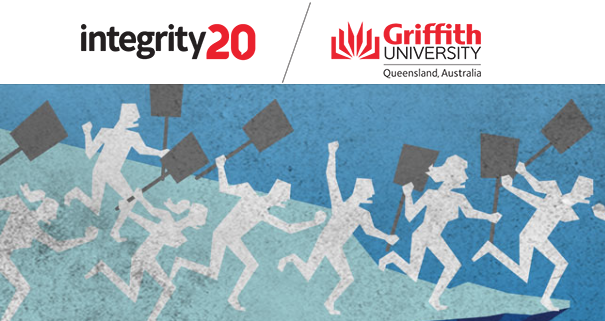 Within the theme of ‘a world divided’, Integrity 20 aims to challenge perceptions, foster public debate and inspire action for change. BEYOND THE PROPAGANDA: WHAT DOES KIM JONG UN WANT — AND WHY? We will be at Good Studios with Anny Duff as part of the Adelaide Fashion Festival to launch RISE & RESIST without our friends. All welcome! Clique presents Vogue Australia’s sustainability editor-at-large Clare Press for her RISE & RESIST book launch as part of this year’s Adelaide Fashion Festival. Join us at Ensemble Studios for a night of bubbles and sustainable fashion insight from Clare and Good Studios’ Anny Duff. Clare will be signing copies of her new book RISE & RESIST, which will be available for purchase on the night. Thanks to our sponsors Hither & Yon and Ensemble Studios. Tickets are free, but must be booked in advance. Register here. The Rise & Resist Canberra launch is actually a clothes swap! I will be In Conversation with Nina Gbor about activism, sustainable fashion - and of course - how to change the world. Nina Gbor is the founder of Clothes Swap & Style. She is as passionate about social justice as she is about, practically, doing something to make change. Clothing swaps are a fantastic way to access new-to-you fashion without using any virgin resources. They can be a vehicle for conversation about over-consumption. And they're seriously good fun. Despite our wealth of natural and economic resources, Australia’s overall response to climate change is appalling. The Climate Change PerformanceIndex has ranked us 57 out of 60 countries, and rated China’s climate efforts as higher than Australia’s. Signed copies of Rise & Resist (Melbourne University Press), will be available for purchase on the night by cash or credit card. Join Clare at Gleebooks, Glebe as she tracks the formation of a new counterculture, united by a grand purpose- to rethink how we live today to build a more sustainable tomorrow. Launched by Jess Miller, Deputy Lord Mayor, City of Sydney. I'm moderating one of them: a panel on Sustainable Fashion & Sourcing. Hear from the AFC and these fantastic panellists: Alexandra Smart from Ginger & Smart, James Bartle from Outland Denim, Jeremy Meltzer of i=Change.